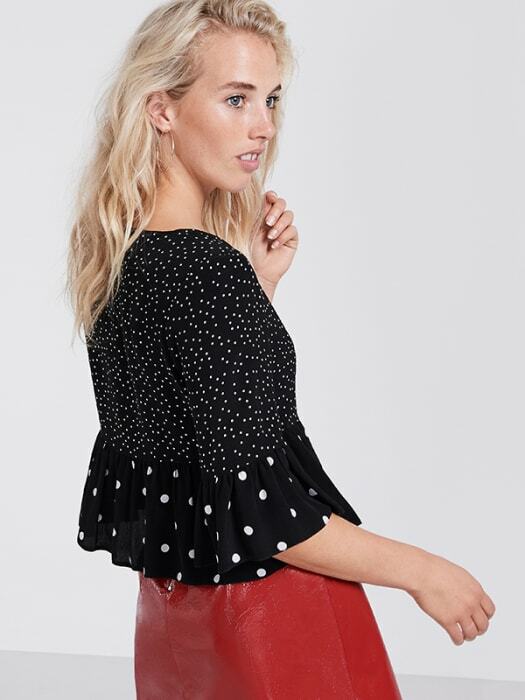 Do spots for new season with this black and white Crop Ruffle Blouse. 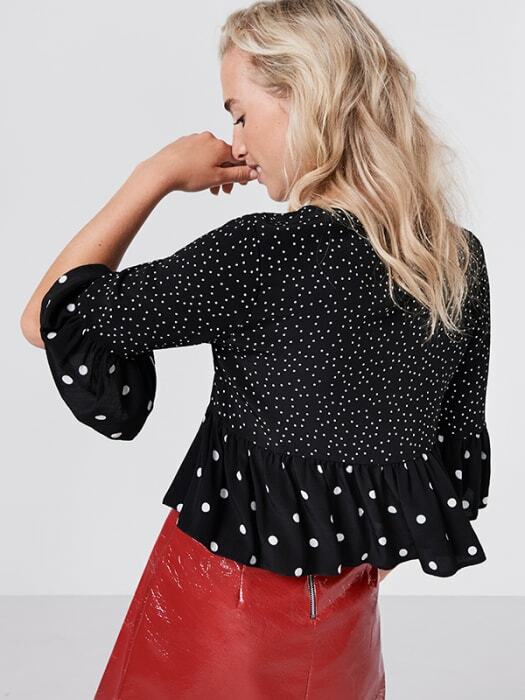 Sitting just above the waist, frill detail to the hem provides a trending touch, while the mix-print design is a trend tribe fave RN. 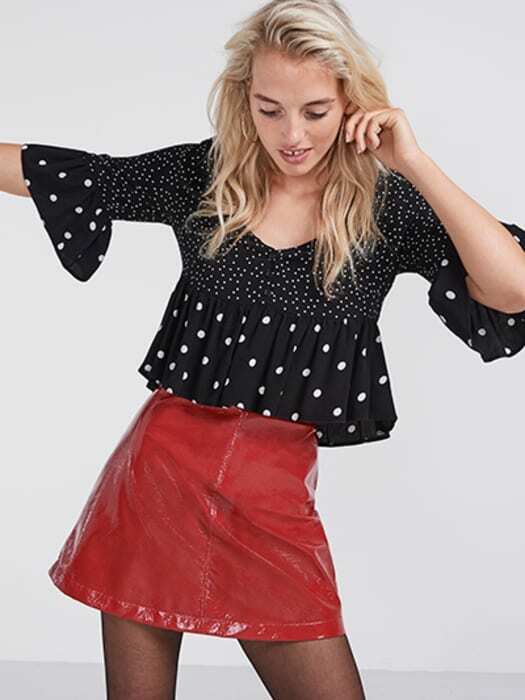 Work the shape with a pencil skirt and consider Saturday night sorted.